Elizabeth Pugh is an actor, writer and singer/songwriter. She wrote and performed 'I’m not finished…yet,' a one-woman play which ran in NYC and Dublin, Ireland to sold–out audiences and rave reviews. Elizabeth Pugh is an actor, writer, and singer/songwriter. Her first solo play, I’m not finished…yet, ran in NYC and Dublin, Ireland to sold-out audiences and rave reviews. Academy Award-winning director, Jim Sheridan, co-produced I’m not finished… yet at the Edinburgh Fringe Festival again selling-out houses and receiving critical acclaim. Elizabeth learned to play guitar and sing busking on the streets of Ireland. 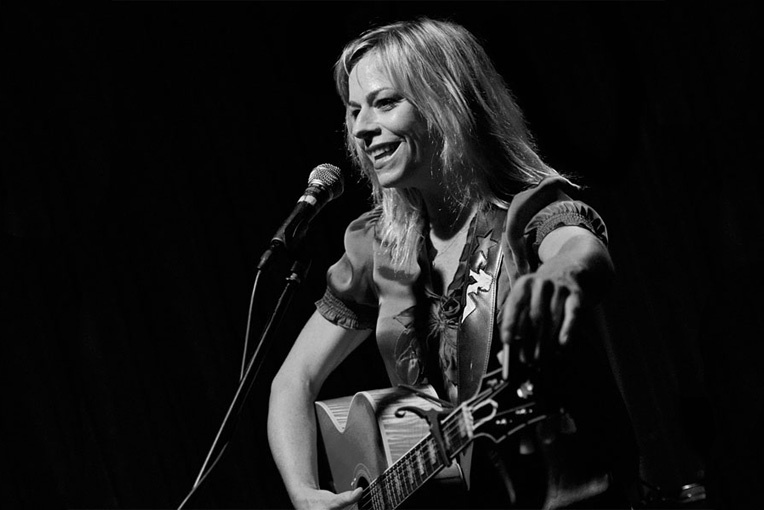 As a singer/songwriter, she has played numerous venues The Tin Angel, Philadelphia, The Washington Square Folk Festival, NYC, Rockwood Music Hall, NYC to name a few. Lou Plaia co-founder of Reverbnation heard Elizabeth sing in hotel lobby and put her up as a featured artist on Reverbnation without any recordings. She is in pre-production to record her first album. 222w23st-a play with one-woman, Elizabeth’s second solo play premiered at Dixon Place, New York City, December 16th, 2017.